Looks like this is inspired by tech season. Recently a japanese carrier released a Star Wars phone that comes with exclusive star wars content. Lol, do you see the connection. Sony is a japanese company and also the carrier which released a Star Wars phone. Hmm… to be accurate, it’s an inspired by tech season in Japan. Final Fantasy XV, a game which has been in development for almost more than 10 years now. The game is finally landing on consoles tomorrow.The game went through many stages – the development started, then it was shelved… What’s the best way to celebrate the releasing of the game? 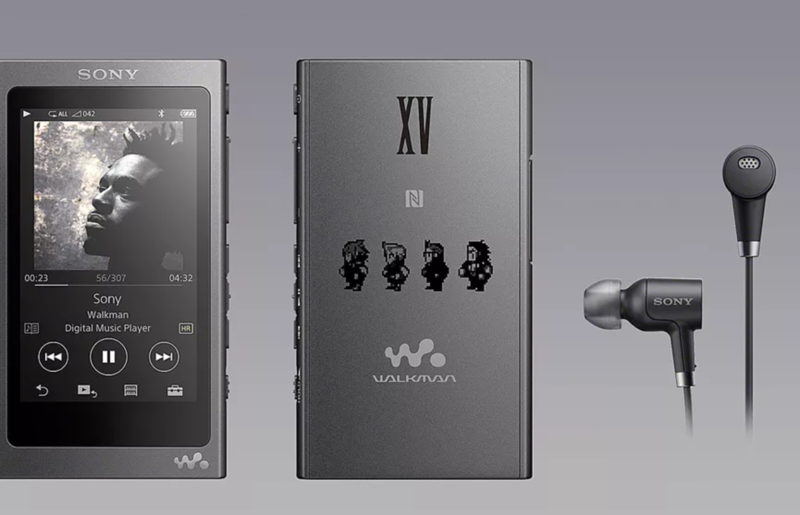 Sony is releasing a limited edition Final Fantasy Walkman. It’s an A-series walkman. The Walkman starts selling in Japan from tomorrow at 33,880 yen, that’s around $300 for the 16GB model. Talking about the walkman, the music player supported hi-res audio just like the other models. This Final Fantasy XV limited walkman comes with a little badge on the back or morely a sticker of the game. Obviously, the UI is different compared to the normal walkmans. It has a dark theme – different icons and background colours. It’s something new in the walkman arena, it’s surely a welcome addition. It adds something to the boring UI, it hasn’t really changed for years. The company is also releasing limited Final Fantasy edition headphones. They look damn cool – a black coloured theme with XV written on both sides of the earpieces. The limited Final Fantasy edition headphones sell for 24,380 yen, that’s around $220. The headphones will be on sale from tomorrow. Also, the company is venturing in the speaker line with the release of a limited Final Fantasy edition bluetooth speaker that will sell for 29,380 yen, that’s around $260. However, all these products will be exclusive only to Japan.